Come a little early and enjoy a little retail therapy in our adorable Artisan Gift Shop. We carry a variety of unique gifts all handmade by local Artisans. Come do stencil art with us, it is so much fun, especially when you get to do it with friends and a few drinks. 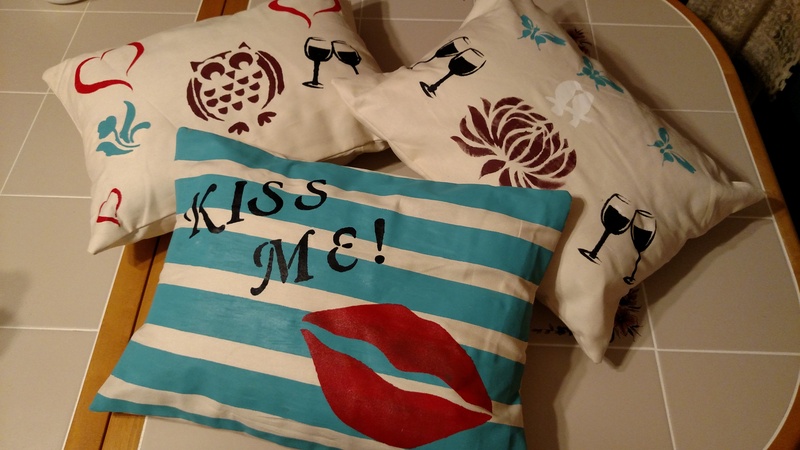 Grab a few friends and a bottle of wine and come craft with us! Each person will go home with a decorative pillow that they created themselves. Get as creative as you want! Please leave questions and/or comments here, including additional adult's that will be attending class with you, if any.